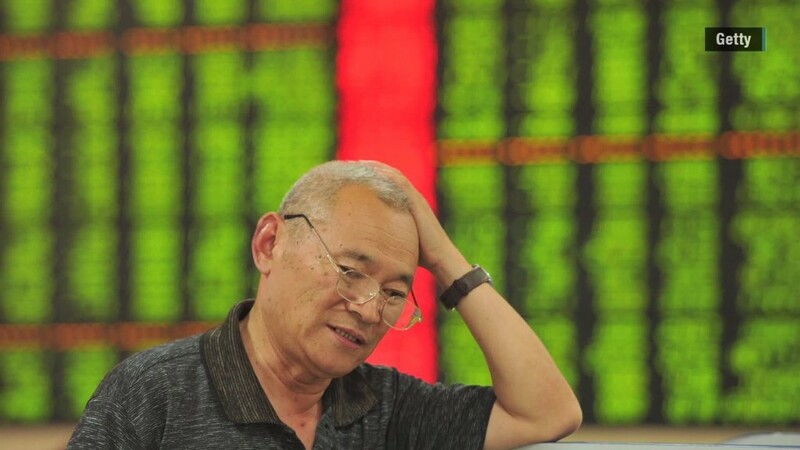 China's stock market is in freefall mode again. If it gets any worse, that could become a problem for some big American companies. Several blue chips are betting heavily on the Chinese consumer. According to data from FactSet Research, 10 firms in the benchmark S&P 500 index generated at least 30% of their sales from China last year. So far, the U.S. stock market has largely shrugged off concerns about what's going on in China. But that may not last, particularly for the companies that stand to lose the most from a sluggish Chinese economy. The company with the most exposure? Mobile chip company Skyworks Solutions (SWKS). It had more than two-thirds of its revenue from China last year. In fact, many of the companies doing big business in China are chip firms that are major suppliers to smartphone makers. Nearly half of Qualcomm's (QCOM) sales were from China. Related: China's economy is getting sick? Will it infect America? Smaller mobile chip companies Avago (AVGO) and Qorvo (QRVO) also had about half of their revenue from China. There have been growing concerns that the market volatility in China could be a sign that the Chinese economy is rapidly losing steam. If that's the case, all these companies could suffer since sales of consumer gadgets may fall. That would be a concern for Apple as well. China is increasingly important to Apple (AAPL), which generated more than 16% of its sales from China in its most recent fiscal year. Apple is also a major customer of chips from Skyworks, Qualcomm. Qorvo and Avago. Those four stocks all tumbled last week, partly due to concerns about slowing demand in China after Apple reported lower than expected iPhone sales in its most recent earnings. But tech companies aren't the only ones that have a lot to lose in China. Fast food giant Yum! Brands (YUM) generated more than half of its sales from China last year. Yum's KFC restaurants are big in China. But sales have slowed recently due to a food safety scandal last year. Some hedge funds have even been advocating for Yum to spin off its Chinese operations. Shipping and logistics firm Expeditors International (EXPD) had nearly a third of its sales come from China last year. So did Mead Johnson Nutrition (MJN), which makes the popular baby formula Enfamil. Gaming giants MGM Resorts (MGM), Las Vegas Sands (LVS) and Wynn (WYNN) have gone all-in on China too, so to speak. They each have subsidiaries that own casinos in Macau. And there are plenty of other S&P 500 companies with household names that have a decent amount of exposure. Intel (INTC), Boeing (BA), Starbucks (SBUX), Walmart (WMT), Tiffany (TIF), Kimberly-Clark (KMB), Western Union (WU) and MasterCard (MA) all had at least of 10% of last year's annual sales from China, according to FactSet. So make no mistake. The convulsions in China's stock market could soon matter a lot to many American companies ... and their investors.